The Independent National Electoral Commission (INEC) on Friday in Abuja said its voter register was not substantially used for the Feb. 10 Kano State local government election, where underaged voting allegedly occurred. 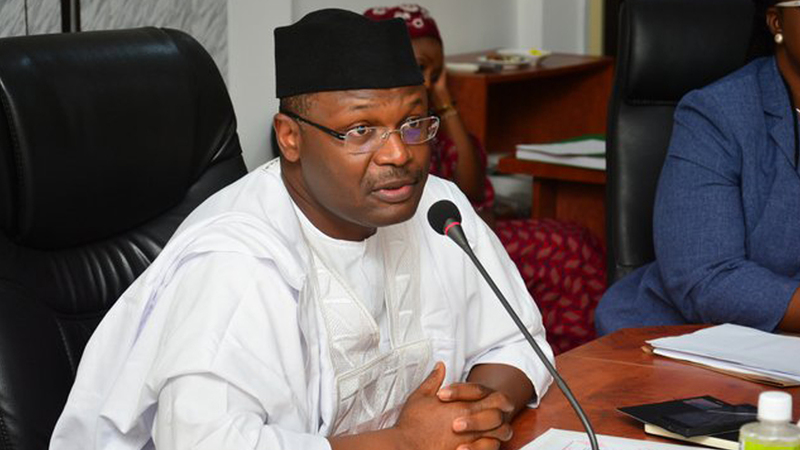 INEC Chairman, Prof. Mahmood Yakubu disclosed this while briefing newsmen on the Commission’s Investigation Committee report on the alleged participation of underage persons in the election. The committee was to look into the allegations that underage persons voting in the election, using the register of voters given to the Kano State Independent Electoral Commission (KANSIEC) by INEC, as prescribed by law. Yakubu said though the commission did not receive any formal complaint on the matter, the committee was set up to address concerns that could create doubt about voter register in preparations for 2019 general elections. The chairman said that the committee had since submitted its report, while INEC carefully considered and accepted its finding and recommendations. “It is logical to conclude that if underage voting occurred in the election, it was not due to any presence of underage registrants on the register of voters. This according to him, was important to eliminate all ineligible registrants from it, including dead persons, aliens and underage registrants. He said since 2011 general elections, the Commission had been updating the register in accordance with the law, saying the current commission believed that it inherited a register that met a high standard of biometric registration. Yakubu implored all Nigerians to see the register as national asset and work with the commission to continue to improve it, considering that there were few if any perfect voters roll anywhere. Yakubu also listed some of the efforts by INEC to continue to update the register and remove ineligible entries from it including presentation of the copies of the register to political parties. Yakubu noted that INEC had also been working with the Nigerian Immigration Service to eliminate aliens from the register by confiscating PVCs from aliens who were not entitled to vote. He pledged that INEC would continue to collaborate with the Forum of State Independent Electoral Commissions of Nigeria (FORSIECON) toward establishing robust pathways to improving the quality of all elections conducted in Nigeria. Fielding questions from newsmen; Yakubu said that the commission spent little over N100 million for the failed recall of Sen. Dino Melaye, representing Kogi West Senatorial District. “The substantial part of it went to the payment of ad-hoc staff and logistics.’’ He also disclosed that the commission was not creating new polling units ahead of the 2019 general elections, as there was no time to do so. “The logistics and arrangements for doing so cannot be accommodated before the 2019 general elections.